We sometimes are asked if a group of people like a wedding party, family or friends can give the Venice Photo Booth as a gift. The answer is yes. It’s easy. One person has to sign the contract. We have to confirm it with the venue. Payments can be made online with paypal or credit card, by any number of givers! Wedding Registries can be arranged. If you are a bride and groom who would like to put a Venice Photo Booth in your gift registry, we can arrange to hold your date. If it is going to be a surprise gift make sure someone has not already booked a photo booth. 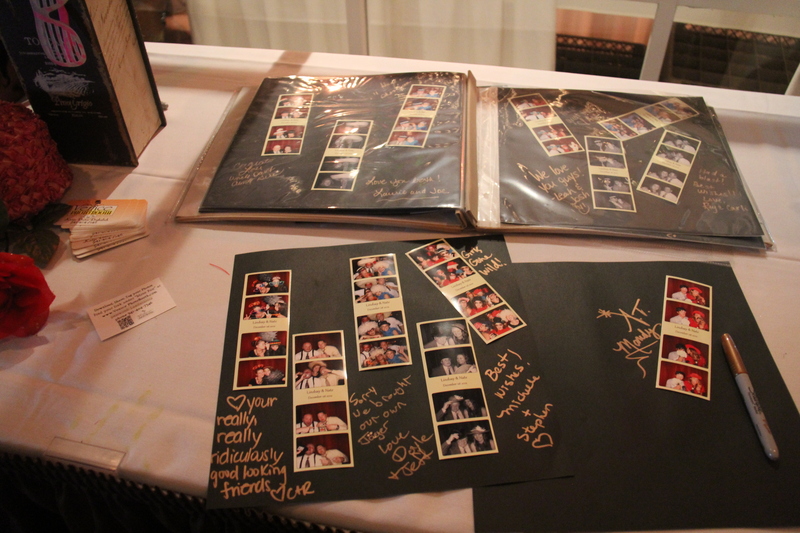 The givers can have a special page in the Photo album with their Group Photo and special message. This gift will provide memories that will be enjoyed over and over again, for many years.